This little dog named Oliver is lucky to have a dad like Patrick Peifer. 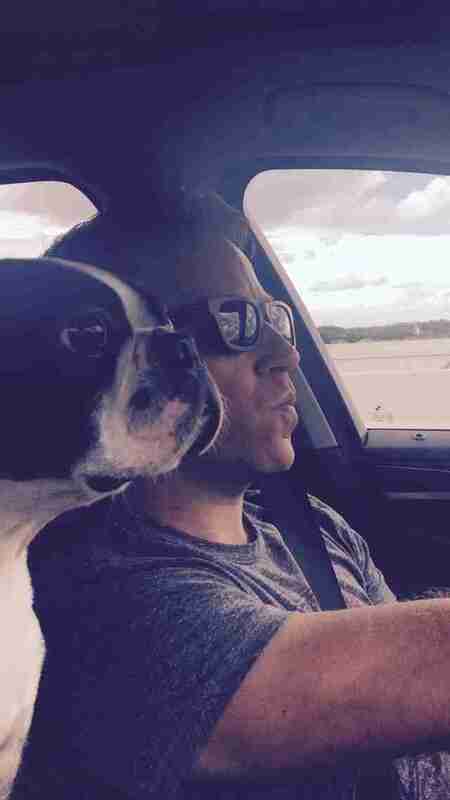 Since rescuing Oliver from a bad situation last year, Peifer, along with his wife and kids, have gone above and beyond to make their pup feel loved. It's fair to say Oliver has it good. Like any devoted dog owners, Patrick and his family wouldn't ever want to make Oliver upset or uncomfortable. But when it came to giving his nails a routine trim, doing so seemed unavoidable. The first time Patrick tried, it turned into an ordeal for everyone involved. 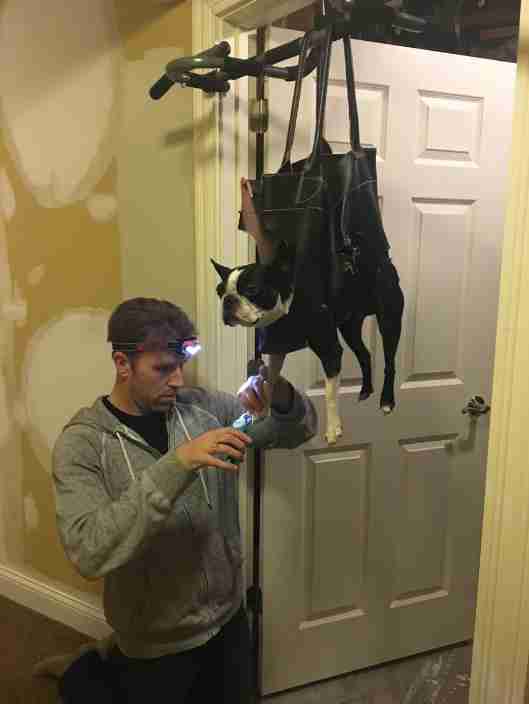 "It required one person to hold him still, and one person to do the clipping," he said. "Oliver really does not like being physically held against his will, so it was not that easy." So when it recently came time to give Oliver another trim, Patrick got creative. "I knew that I would need something that would limit his mobility without being physically restrained by another human," Patrick said. "She suggested I look for one at the Goodwill," Patrick said. "I paid $8 for it. Using some of my wife's sewing equipment, I removed some stitching and then cut four holes for the legs, and one for his head with an X-Acto knife. I realized it would be easier to get him in the purse if I cut it down each side so that it could lay flat on the floor. I just stood him up on top of the flat, opened up the purse with his feet in the holes, and then grabbed the handles and lifted him up." Patrick describes his creation as "sort of like a dog soft taco." Sure enough, the clever solution took all the drama out of nail trimming. 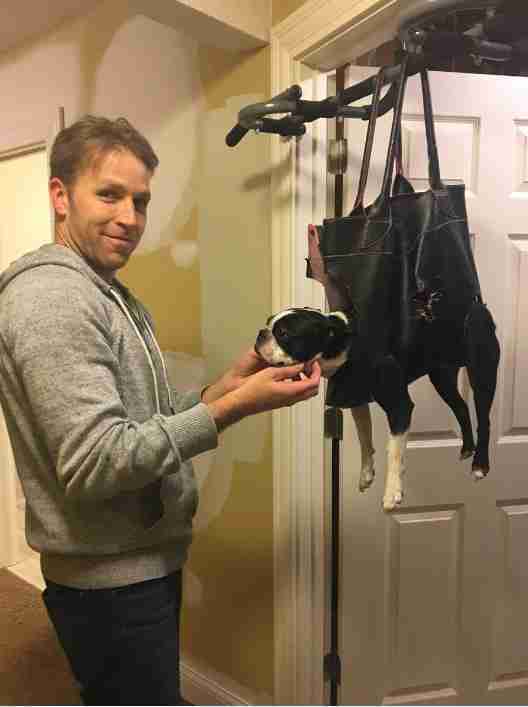 This time around, Oliver was chill as could be as he dangled there, suspended in his custom dog purse. "He handled it well. He was very calm while hanging there. No fuss from him as I clipped his nails," Patrick said. "I made sure to give him nibbles of his favorite treat (string cheese) for every nail I finished." 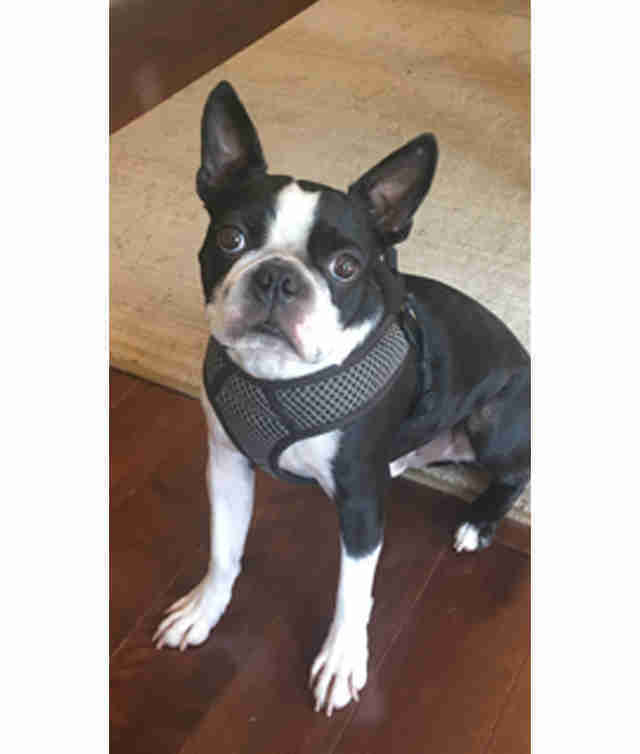 Patrick says other pet owners who might take inspiration from his idea should do so with their pup's safety and comfort as the first priority — noting that a dog's size and temperament are major considerations. "It worked well for me because Oliver is pretty small, and I knew he probably wouldn't freak out," he said. "You have to know your dog, and it obviously would not work for a larger dog." Patrick is already planning to make adjustments to his design, so Oliver's next trim will be even more comfortable than the last.